With over 70 school projects completed in our Education portfolio, we offer suggestions and solutions suiting the needs of the school washroom environment, all within budgetary constraints. Shire were appointed as a supply and fit contractor to undertake the installation of the washrooms for the latest wave of secondary schools for Bristol. The package consisted of full height laminate duct panels and vanity units with fully enclosed water services. 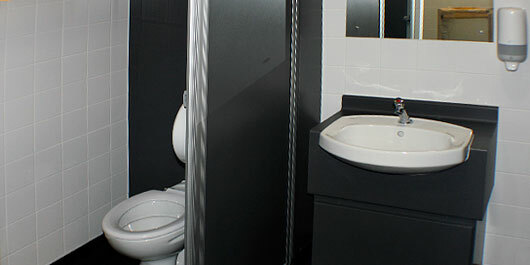 Due to the nature of the design, with mixed use cubicles, Shire developed a cubicle in conjunction with Venesta Washrooms Ltd, that fully encased each individual cubicle. This allowed full privacy for the user to be maintained, whilst it worked in conjunction with the fire and ventilation design of the building. To complement the installation, Shire undertook the installation of the sanitaryware, including the final plumbing connections of the hot / cold and waste services. Blending valves were installed throughout the schools, to ensure safe operating temperature of the hot water. At St Mary Redcliffe and Temple School, Shire worked with a local stainless steel fabricator to develop a bespoke stainless steel wash-trough. The client wanted a trough that could be accessed from both sides, whilst maintaining special awareness within the washroom. 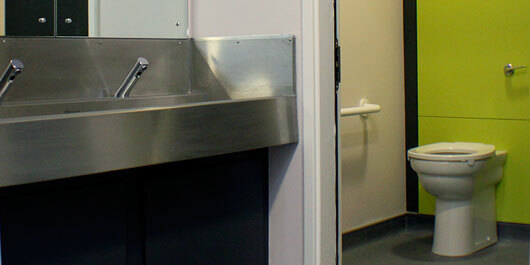 At Ashton Park School, Shire introduced Wallgate anti-vandal wash stations into a bespoke designed panel system, providing the added benefits of built in handriers. Thermostatic Shower panels were installed, with an adjustable pipe cover above. This design prevented any vandalism of the exposed pipework and prevented any scalding of persons, should they come into contact with them. All systems were pressure tested to the necessary standard, and checked / commissioned with regard to safe temperature for use. 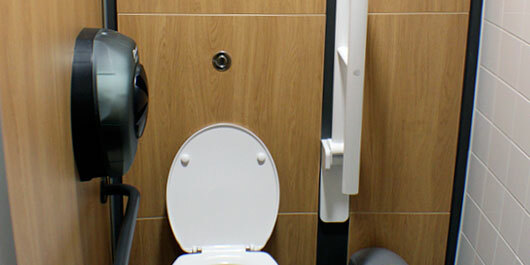 Shire have a number of products and services that can be adapted to suit any design needs that are required for the washroom environment, in particular that of the modern secondary school. St Mary Redcliffe and Temple School, Redcliffe. St Bede's Roman Catholic College, Lawrence Weston. 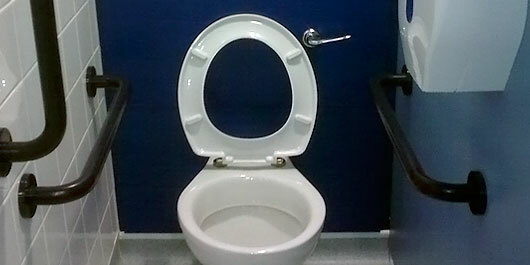 In all; 200 WC pans, 160 washbasins, 20 disabled WC's, 15 cleaners sinks and 15no washtroughs were installed! The main entrance of the new school. The flush fitted Wall gate units fitted into HPL duct panels, returned into Venesta Centurion full height cubicles, with one door as outward opening ambulant facilities. HPL duct panel sets fitted onto MFC flashgap, cut out and mounted with Wallgate combined hand drier and wash station units. Full height, fully enclosed Venesta Centurion Resista (solid grade) cubicles, complete with outward opening door and ambulant facility. A full ambulant facility fitted to HPL duct panels, in this instance fitted with a hinged support arm by Armitage Shanks. Part of the Wave 4 Bristol Schools replacement scheme, Shire worked alongside Skanska on this new school at Ashton Park. The core cubicle and panel provision was that of Venesta Centurion Resista full height, providing a fully enclosed cubicle for individual privacy to each student. 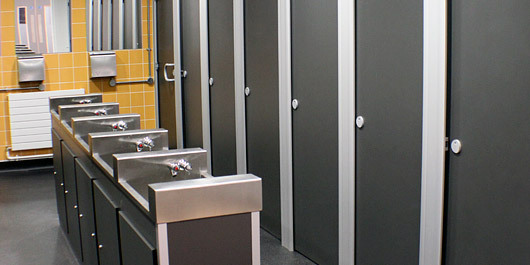 The toilet blocks were designed to be open plan to prevent bullying or intimidation. The sanitaryware installed on the project was by Armitage Shanks with dual flush concealed pneumatic cisterns, adding to the BREEAM scoring of the building. 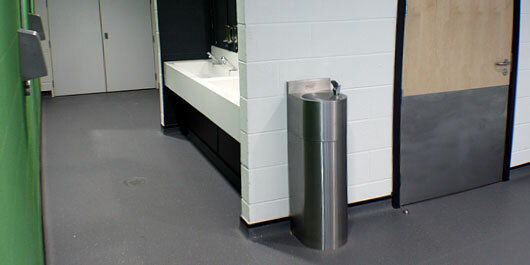 Shire also integrated new Wallgate combined wash basins / hand dryer units into a wall panel system. Part M facilities were also provided, both with stand alone Doc M packs, and with the addition of grab rails within ambulant cubicles. All final plumbing connections and testing were also carried out on this project. Solid grade WC duct panels fitted onto solid grade flashgaps. Cubicle by Bushboard, from their Quadro range, fitted with full outward opening door and ambulant facility. Benches as supplied by Arkinstall Ltd, and fitted by Shire within all of the schools changing rooms. Specialist stainless steel washtrough's provided by Shire and fitted to underframes and panels manufactured by Bushboard Washrooms. 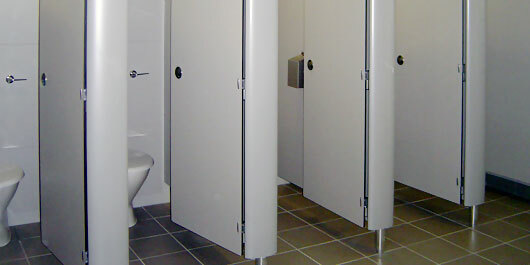 Bushboard Washrooms Quadro cubicles fitted throughout the school and the changing village. A close up of the stainless steel washtrough and a WC fitted to the solid grade duct panels. Shire were employed by Wates Construction on this project to undertake the cubicles and duct panelling works to the various washrooms. 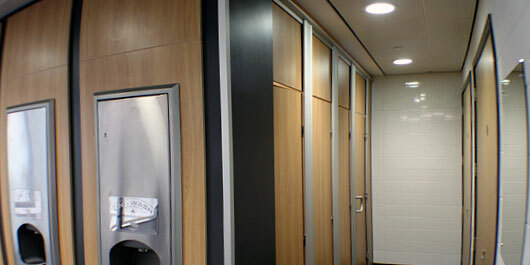 All washrooms were open plan in style, and were fitted with Bushboard Hi-Zone fully enclosed cubicles. All materials used were that of Solid Grade Laminate for rigidity and longevity of life. Shire were also approached to provide a bespoke designed stainless steel washtrough, that was fitted with non-concussive taps. Underframes were provided to hide the services. 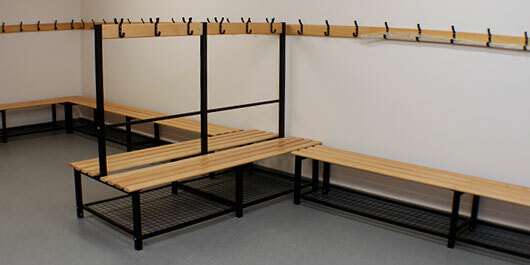 Within the sports changing facilities, in addition to providing the shower and changing cubicles (again by Bushboard), Shire provided the benching and coat hook facilities, manufactured by Arkinstall. Full height solid grade Formwise Liquid cubicles with outward opening doors for ambulant facilities. A full Doc M Pack supplied by Armitage Shanks. Semi recessed low level vanity units made from solid grade laminate, fitted with Armitage Shanks basins and short lever pillar taps. 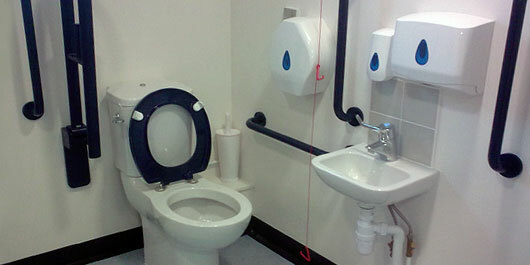 A standard WC pan fitted with ambulant grab rail facilities and toilet roll holder provided by Shire. 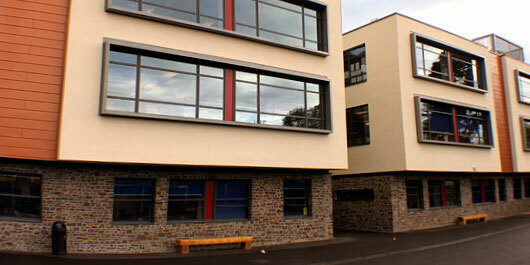 Shire were appointed on this project by Skanska, as part of the school redevelopment programme in Bristol. Shire appointed Formwise Washrooms to manufacture the cubicles, panels and vanity units, with all material used being Solid Grade Laminate. Sanitaryware was provided by Armitage Shanks with pneumatic concealed cisterns and non-concussive taps. 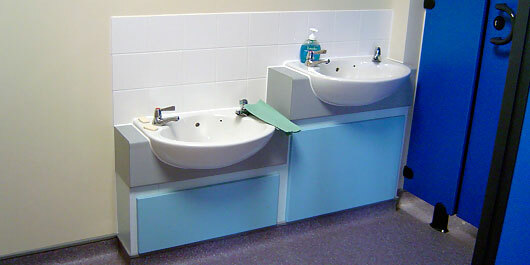 Shire had to cater for younger children in certain parts of the building, with the provision of low level 'School' pans, low level vanity units, and cubicles with low level doors. Part of the Wave 4 Bristol Schools replacement scheme, Shire worked alongside Skanska on this new school at Florence Brown in Knowle, Bristol. The core cubicle and panel provision was that of Venesta Centurion Resista full height, providing a fully enclosed cubicle for individual privacy to each student. 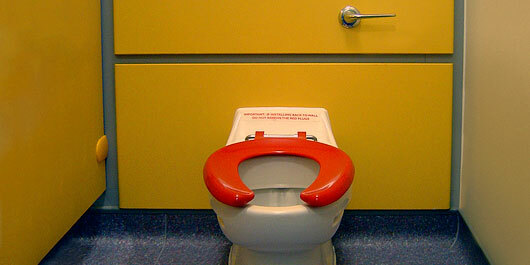 The toilet blocks were designed to be open plan to prevent bullying or intimidation. The sanitaryware installed on the project was by Armitage Shanks with dual flush concealed pneumatic cisterns, with vanity basins being fitted with the Pegler non-concussive tap, adding to the BREEAM scoring of the building. Part M facilities were also provided, both with stand alone Doc M packs, and with the addition of grab rails within ambulant cubicles. 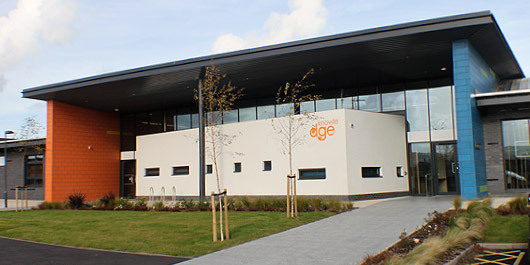 Main entrance of the new school in Knowle, Bristol. Full height Venesta Centurion Resista cubicles, complete with HPL duct panels and Armitage Shanks Sandringham WC pan. Horne TSV thermostatic shower panel, fitted into one of the many shower units supplied and plumbed. A close up view of the Corian wash trough's. 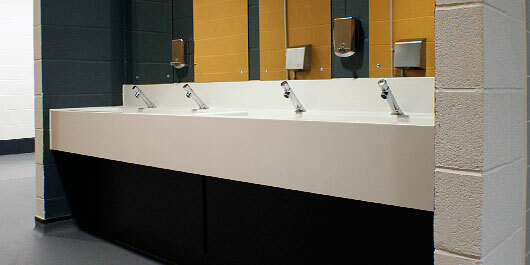 Within the main toilet blocks, Shire provided a bespoke Corian washing trough with concealed services below. These trough's were fitted with Pegler non-concussive taps to prevent wasted water, and were provided with an anti vandal rotation device to lock the taps to the trough's. Part of the project, also involved the construction of a respite centre adjacent to the main school. Shire had the contract to fit out all of the individual en-suite's for the bedrooms. Low level combined WC / WHB units were provided with Space Armitage Shanks sanitaryware due to the small size of the room. Each unit was fitted with an Armitage Shanks Avon 21 mixer non concussive tap, providing hot and cold running water. Each ensuite was also fitted with a Horne shower panel, that provided blended 41 degree hot water to the outlet. To compliment this installation, the showers were also fitted with an anti-vandal pipe sleeve that covered the hot / cold pipe work that entered the top of the shower. 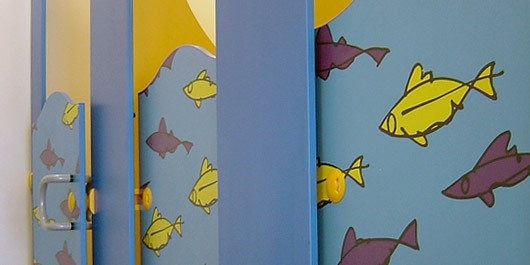 Front elevation of the Venesta Washrooms Genesis cubicles, complete with 'Fish' screen printed laminate finish. 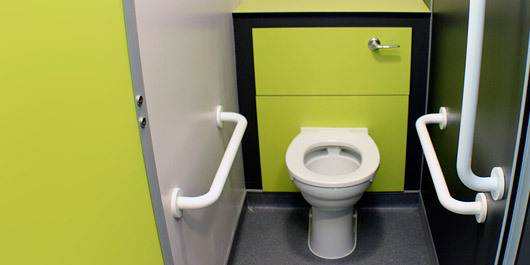 An Armitage Shanks schools low level WC pan for nursery use, fitted back to an HPL duct panel set. Split level vanity unit for two different age groups, both fitted with semi recessed vanity basins and removable vanity underpanels. 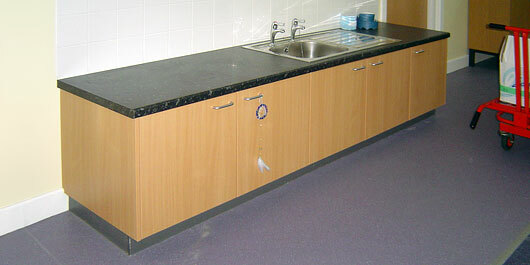 Bespoke purpose made art cupboard / worktop units, manufactured by Shire. Purpose made kitchen / tea points, manufactured by Shire. Shire were employed by Mansell Construction to work on this interesting new build school in the heart of Banbury. The project presented a challenge, as the building was shaped as a segment of the moon. This resulted in some interesting shapes that needed wall duct panelling applied to them. 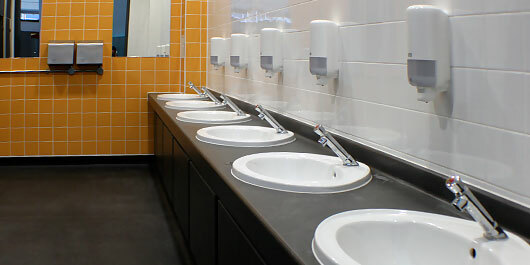 Shire worked alongside Venesta Washrooms on this project, who manufactured all of the cubicles from their Radius range, with low level vanity units, duct panelling and benching facilities being provided. All sanitaryware fitted on the project was by Armitage Shanks, fitted with non-concussive taps and undersink blending valves. 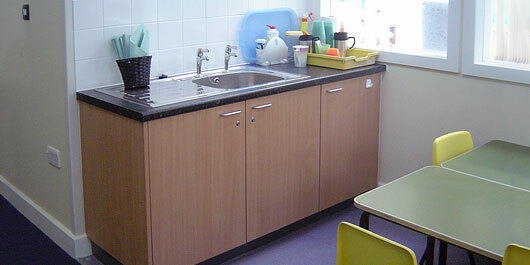 Various different ages of children were catered for on this project, with three different sizes of WC pan fitted. Baby change and Mother / Baby facilities were also provided in the nursery area of the building. 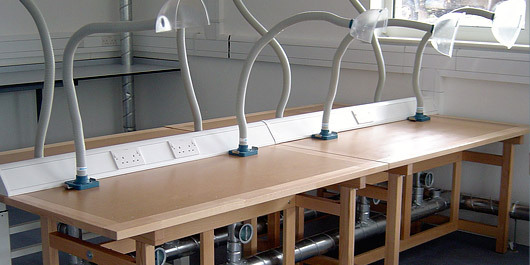 Specialist science benches, manufactured in Denmark, shipped in and constructed by Shire. 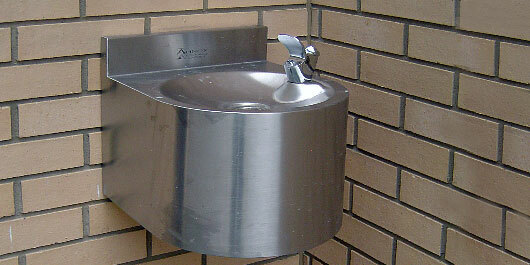 Armitage Shanks wall mounted drinking fountain. 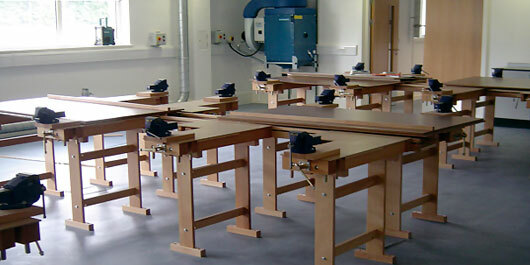 Specialist woodworking benches, manufactured in Denmark, shipped in and constructed by Shire. HPL vanity unit and underpanels, fitted with semi recessed washbasins and non-concussive taps. 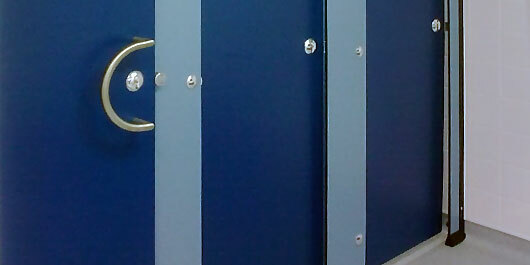 Standard height Amwell Systems HPL Impact cubicles, as fitted to all of the 9 school core toilet blocks. This new school in Swindon, was constructed by Bristol based Cowlin Construction. Shire were appointed to undertake the duct panels, cubicles and vanity units, all of which were provided by Amwell Systems. 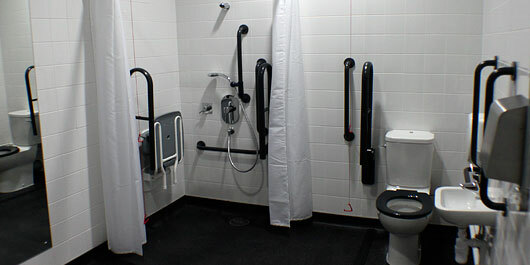 Shire also fitted the WC pans, WHB's and Disabled Part M facilities, all supplied by Armitage Shanks. 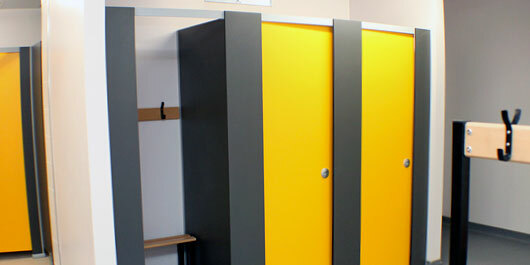 Within the school sports changing facilities, Shire also provided Amwell Splash shower cubicles and benching facilities provided by Arkinstall. Timed flow shower valves and anti-vandal shower heads were also fitted. A first, Shire were also asked to provide the specialist Science and Design Technology benches, which were manufactured in Denmark as kit form, before being assembled and commissioned by our installers. Part of the Wave 4 Bristol Schools replacement scheme, Shire worked alongside Skanska on this new school at St Mary Redcliffe. The core cubicle and panel provision was that of Venesta Centurion Resista full height, providing a fully enclosed cubicle for individual privacy to each student. 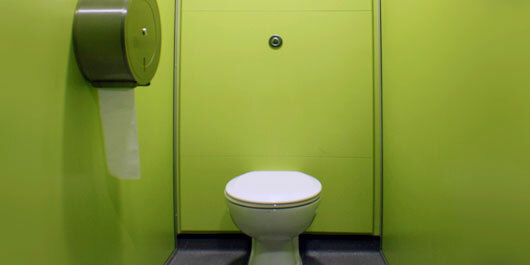 The toilet blocks were designed to be open plan to prevent bullying or intimidation. 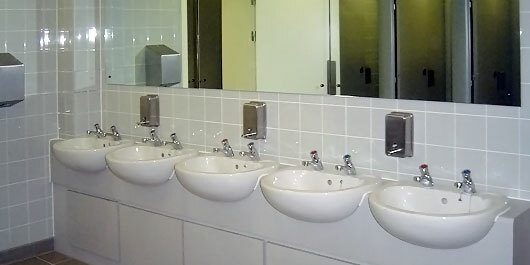 The sanitaryware installed on the project was by Armitage Shanks with dual flush concealed pneumatic cisterns, with vanity basins being fitted with the Pegler non-concussive tap, adding to the BREEAM scoring of the building. Disabled facilities were also provided, both with stand alone Doc M packs, and with the addition of grab rails within ambulant cubicles. Vensta full height Centuron Resista WCs, with full ambulant grab rail provision. 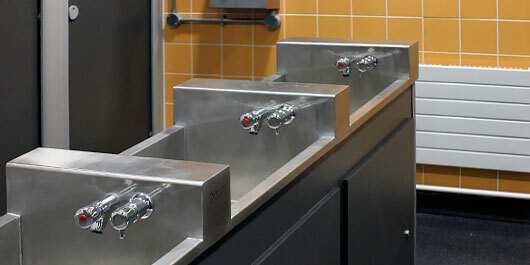 Specialist stainless steel washtrough, on a metal frame, clad in removable solid grade underpanels. 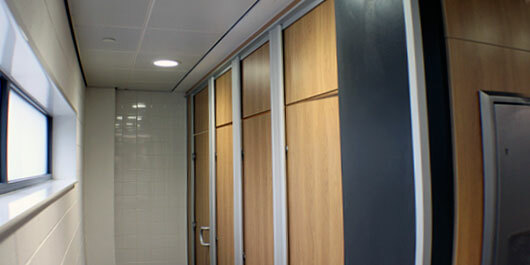 Staff changing and washroom facilities, fitted with Centurion Resista standard height cubicles. 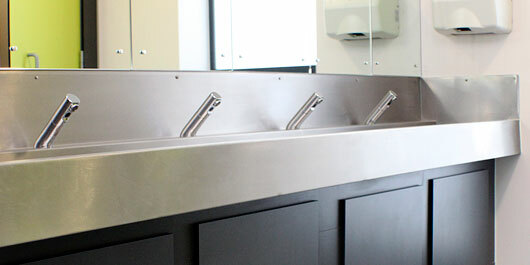 A close up of the stainless steel specialist washtrough's fitted with a non-concussive tap and soap dispenser. Full document M shower and WC facilities as supplied by Armitage Shanks. Full depth HPL vanity units, fitted with HPL underpanels and Armitage Shanks countertop washbasins and Pegler non-concussive taps. 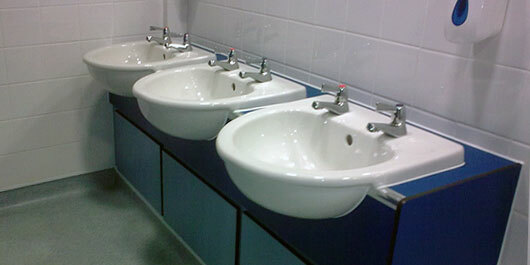 Shire also provided bespoke freestanding stainless steel washtrough's that were designed specifically to allow the pupils to wash their hands from both sides of the trough. 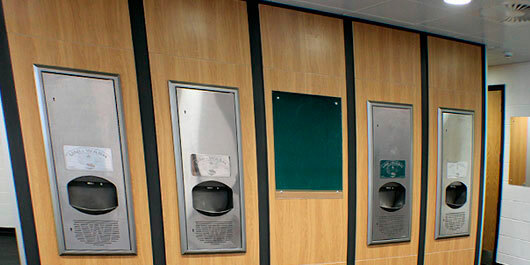 These were fitted with timed flow spouts, and integrated anti-vandal soap dispensers. 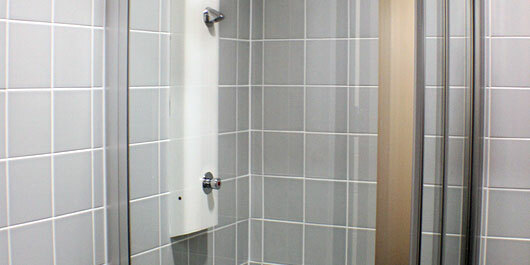 Within the sports block, Shire fitted 22 Horne shower panels, that provided blended 41 degree hot water to the outlet. To compliment this installation, the showers were also fitted with an anti-vandal pipe sleeve that covered the hot / cold pipe work that entered the top of the shower.